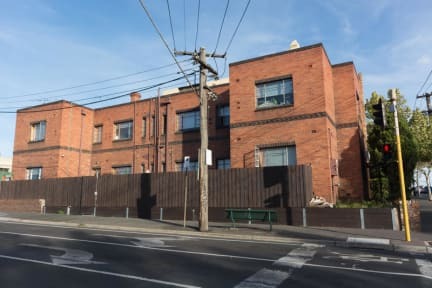 Landing Pads Richmond is an easy going, open minded hostel, located in the heart of vibrant Richmond, specifically set up to be a home away from home for independent solo travellers on working holiday visas. At Landing Pads we're set up to help you settle in, find work and most importantly make friends. We have a fully equipped kitchen including an espresso coffee machine, dining area, multiple bathrooms/showers, lounge room with TV, sun porch, covered outdoor area and BBQ. Richmond is an awesome suburb with great transport options (trams/trains/buses) just minutes away. Nearby Bridge Road has supermarkets, great shopping, bars & cafes to discover. When staying with Landing Pads you also get included: Wi-Fi, all linens & towel, individual food storage space, kitchen supplies (tea/coffee/salt/pepper/oil etc. ), a great social culture and a place to make new friends. 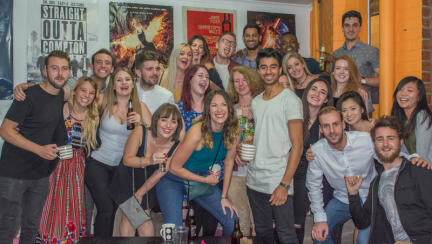 We host regular hostel events in-house and around Melbourne, plus help finding work and getting settled into the Melbourne lifestyle. We're a small hostel and don't have a full time reception. Check in times are 10:00am-12:00pm and 6:30pm-7:30pm. Please e-mail us if you need to arrange a check in time outside of these hours. PLEASE NOTE: we do not check in before 10:00am or after 8:00 pm so as not to disturb sleeping guests who have to get up for work in the morning.